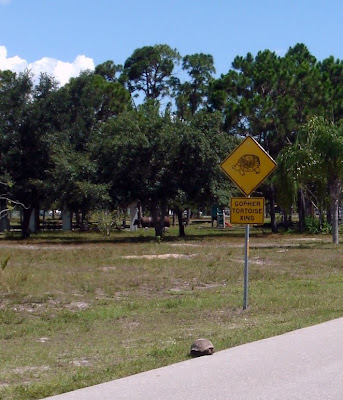 I wasn't fast enough with the camera ... this smartie crossed the road right where the sign was! that's hillarious! 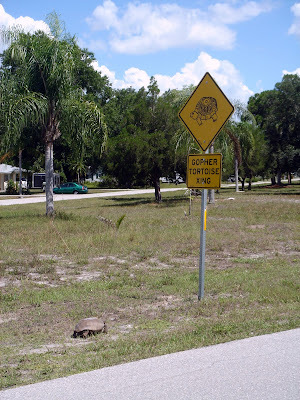 We just saw one of those tortoises yesterday during a stroll around our neighborhood, too. No signs around here though.